Imagine you could hold your mobile phone up to an image, and magically summon any information you wished. You see a movie poster and wonder if the movie is worth seeing. Zap! You're watching the movie's trailer. You see a restaurant menu and wonder about the food. Zap! You're reading reviews from people who ate there. You're at a subway stop. Zap! You're seeing the actual arrival time of the next train. You see a magazine ad for a product and want to buy it. Zap! You've placed the order. How does this magic happen? With something called a QR Code. If you have a business or non-profit organization, you absolutely want to know how to use QR Codes. This book will tell you how you can use them in your marketing to attract, assist, hang on to and increase your customers. If you want to know how to make them and use them for personal or educational use, you'll learn that, too. They're free. They're fun. They're useful. Why not start now? 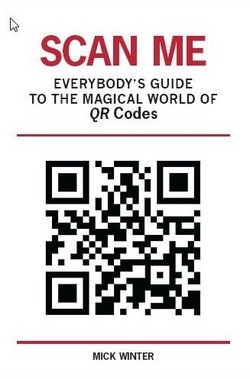 Click to order Scan Me on Kindle.